We haven’t a clue where it is, or what the train is. The locomotive is a Webb 4ft 6in 2-4-2 tank. Can you help us out? This train is just approaching Heaton Lodge Junction. 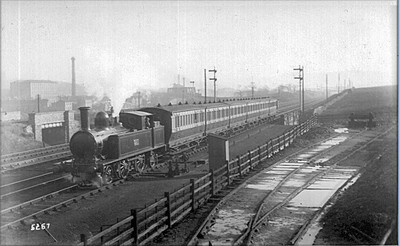 The (new line) to Leeds is in the background. The train could be from Wakefield or Leeds to Huddersfield or Stockport.